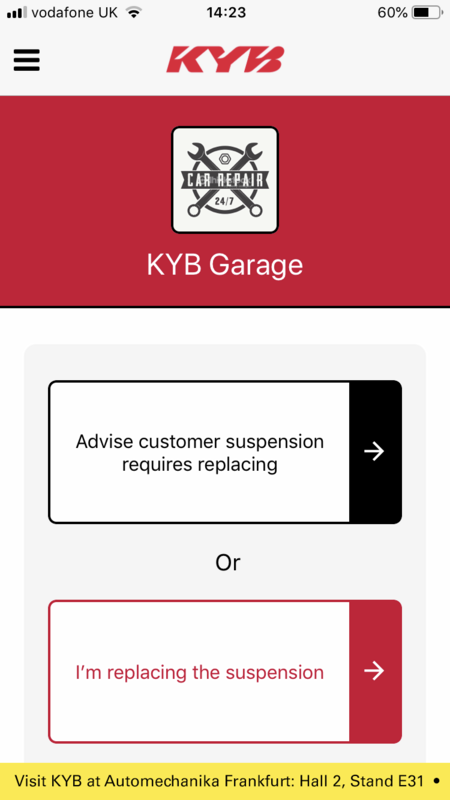 KYB Europe has launched a number of new features on its mobile App, designed to help workshops identify the need to sell suspension parts and communicate effectively with the motorist. Initially previewed at Automechanika Frankfurt, the features are now live for all users. 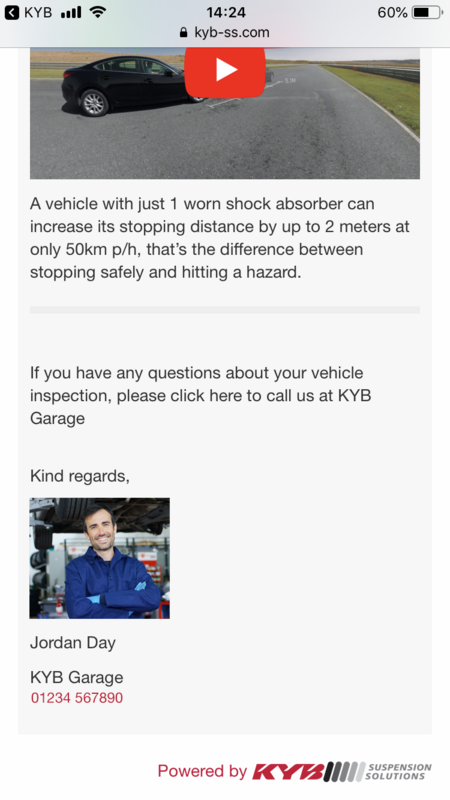 The free KYB Suspension Solutions App already has over 5,000 users across Europe, with 23 per cent of all vehicle reports sent by workshops resulting in a call back from the motorist to the workshop. The App is available to download for free from both the App Store and Google Play.